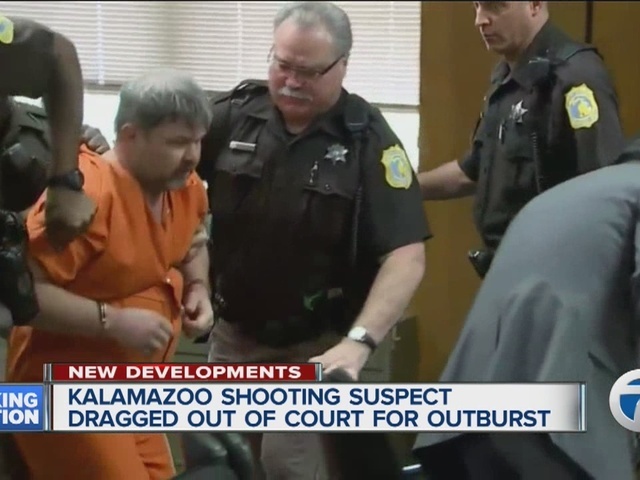 Suspected Kalamazoo shooter Jason Dalton was dragged out of court Friday morning after his odd ramblings sparked an emotional response from Tiana Carruthers, a victim who was on the stand. Friday's hearing was being held to determine if Dalton will go on trial for the shootings that killed six people and injured two. The hearing went on break after the incident. Dalton had been picking up riders as an Uber driver on February 20, the day of the shootings. He is accused in three separate shootings. He is charged with murder and attempted murder. Dalton had previously claimed that the Uber app made him carry out the shootings. 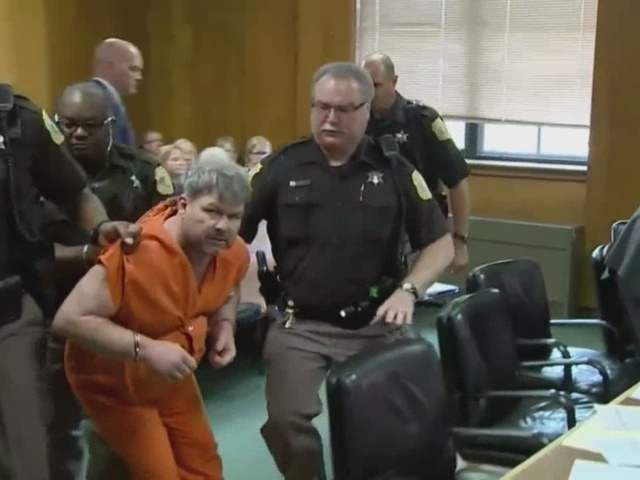 Dalton had been found mentally competent to move forward in the court process.